As the weather (very) gradually warms, I'm getting outside on my bike again. I rode to Piermont, New York, recently with a teammate of mine, Bobby. As per usual, rides to Piermont involve a stop at Bunbury's Coffee Shop for a quick pick-me-up, whether in the form of caffeinated beverage or carbohydrate-filled treat. And by the latter, I refer to muffins. The Carrot Raisin muffins at Bunbury's seemed like a good option for a half-way point snack. I usually eat only half, and store the other half in my jersey pocket for later use. Bobby, however, ate the whole thing. I'm not calling him out on it, it's just important to the story. A rather steep hill awaits riders almost immediately on the return trip to New York City. As we were ascending this hill, I heard Bobby exclaim forcefully, "C'mon, muffin!!" He was not talking to me. Rather, he was demanding of his recently ingested carrot and raisin concoction to do it's job already: get those calories in motion and get him up the hill! Now, in my time on the Full Throttle triathlon team, I have heard teammates call upon the baby Jesus in the manger, the BVM, random assorted saints (and sinners), their parents and relations, and even OTHER people's parents and relations in an effort to make their legs move faster, express their workout-related frustration, or for no reason at all, just to make conversation. But the idea of calling up your not yet digested food was new. And, in my opinion, quite appropriate. So after I returned to my apartment and ate the other half of my Bunbury's muffin (along with a lot of other things), I vowed to create some biking-friendly muffins. The following muffins are loosely based on my mom's banana bread recipe. I made it healthier, and even incorporated the Bunbury's-inspired carrots. So, c'mon, muffin – let's get baking. And biking. 3 overripe bananas (you can actually freeze ripe bananas for a few days, let them defrost for an hour on your counter top, and violá - you have over-ripe bananas). 1/2 package of baby golden carrots, roasted until soft (instructions below). NOTE: You can use orange carrots, I was just trying to be color-palette consistent. Preheat the oven to 325 degrees. If using a muffin tin, line with muffin wrappers, or grease the tin with cooking spray or butter. Pour the 1/4 almond milk into a small bowl and add in the chia seeds. Allow the chia seeds to expand and get gummy. Chia seeds have essential fatty acids, omega 3's and 6's, and the coolest of all...the word "CHIA" comes from the Mayan language and means "STRONG." Perfect for biking. Meanwhile, roast the carrots. Line a baking sheet with aluminum foil and roast in the oven for about 25 minutes, or until soft. In a food processor, blend together the butter, sugar and eggs. Add the dry ingredients alternately with the bananas, roasted carrots, almond and vanilla extracts. Blend well, making sure to break up all those carrots. Finally, add in the pecans and chocolate chips, blending just to incorporate. Fill the muffin tins 3/4 of the way full, and top with a few more broken pecan pieces (it makes them look nice). Bake for about 40 minutes, or until a knife piercing the center of the muffins comes out clean. Allow to cool completely, then stuff them in your cycling jersey and get riding! 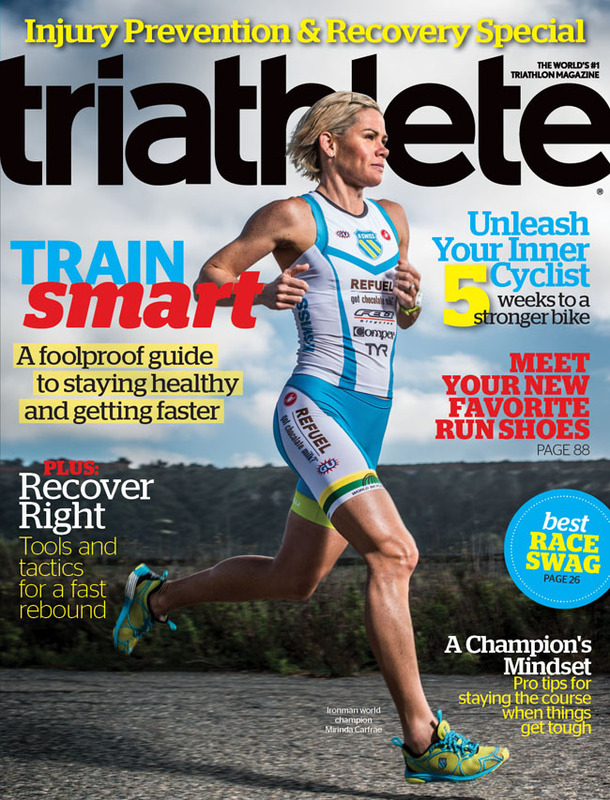 Get more triathlete-friendly recipes at John and Elana Talk About Food.